Founded in 1997, StrategicHealthSolutions, LLC (Strategic) is a Women-Owned Small Business that works with the Federal government to improve the quality, efficiency, and value of health care. Strategic recognizes that public healthcare agencies operate in a very high-profile environment. Our company is a trusted organization that improves outcomes by developing targeted, insightful solutions that result in a positive return on investment. We help our clients provide impeccable service that meets strict regulatory requirements and withstands high demand for increasing efficiency and productivity. Margaret “Peg” Stessman is President, Chief Executive Officer (CEO), and owner of StrategicHealthSolultions, LLC (Strategic), in Omaha, Nebraska. She is also Chairwoman of Strategic’s Board of Directors. Ms. Stessman began her career as a nurse in 1985. In the 1990s, she transitioned into senior management within the healthcare insurance industry, specializing in Medicare and Medicaid administration. In 1996, she became Quality Assurance Administrator for the State of Nebraska, overseeing Nebraska’s Medicaid Managed Care Program. In 1999, she joined IntegriGuard, an Omaha-based government contractor and a nationally recognized company that focuses on program integrity and payment accuracy within the Medicare and Medicaid programs. During her five years at IntegriGuard, Ms. Stessman served as Director of Operations and eventually became President and CEO. She grew the company from a small division of two employees to a wholly owned subsidiary of more than 150 employees with four offices throughout the United States and $24 million in revenues. Before joining IntegriGuard, Ms. Stessman went into business for herself in 1997 and started Strategic, then a consulting firm for managed care providers. In 2005, Ms. Stessman restarted and retooled Strategic with the intent of supporting State and Federal governments in preventing fraud, waste, and abuse in the Medicare and Medicaid programs. She employed a handful of people when she re-launched the company out of her home. Today, Strategic employs more than 150 people in Omaha and its second office in Columbia, Maryland. In 2012, Strategic reported $20 million in revenues and projects $32 million in revenues in 2013. 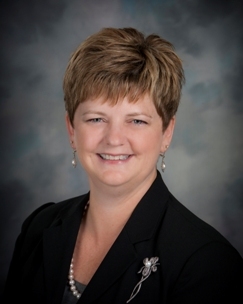 Ms. Stessman, an Illinois native, earned a Bachelor of Science degree from the University of Iowa College of Nursing in 1984 and a Master of Business Administration degree from the University of Iowa Tippie College of Business in 2012. She maintains an active registered nursing license in the State of Nebraska. Ms. Stessman is a member of the Entrepreneurs Organization, a global business network of more than 8,000 business owners. She is also a Cabinet Club member for The Salvation Army in Omaha. CEOCFO: Ms. Stessman, basics first, what is the concept for the company? Ms. Stessman: Basically we are a government contract organization. From a conceptual standpoint, our role is to serve the Government, predominantly the Centers for Medicare & Medicaid (CMS), by helping them fulfill their mission. We also do work for the Office of Inspector General (OIG) and the Department of Justice (DOJ). Each agencies mission varies and as such we must do a variety of things. Our role is to identify key skills they may need in order to achieve their mission, and offer those services. CEOCFO: In day to day terms, how do you go about conducting business? Ms. Stessman: In many cases we have a variety of different things that we do for them. For example, we do education and training. We develop an education curriculum: tools and training that a provider might need in order to better understand how to submit a claim. What a beneficiary might need to understand about their medical identity and what could happen if they give away their ID card to someone else. We develop training so that it can be disseminated out to those parties and they can have a better idea about the rules of engagement of participating in Medicare. CEOCFO: Do you typically work with the main office or individual, regional offices of any type? Ms. Stessmen: For Medicare, most of the time we work on a national scale through the central office in Baltimore, Maryland. In the case of education, we have an education advisory committee that includesindividuals from across the United States. Members could be working for the state, at a CMS regional office, or they could just be a stakeholder. A stakeholder would be someone who is representing a Medicare advocacy program. These individuals help give us inside feedback on the educational tools we are providing. CEOCFO: What has changed for you given what is going on now in healthcare? Ms. Stessmen: Many things are happening as a result of the Affordable Care Act. Some of those things are related to the national health care reform which is getting a lot of press today. As it relates to that particular aspect of ACA, we are not as heavily involved in it. We did not create the website and we are not a part of any of those initial efforts. We have begun to develop some educational materials associated with the exchanges. For the most part, the impact that ACA has had on us is unrelated to the national health care reform. There are many aspects of ACA that have nothing to do with what everyone wants to call Obamacare. Our role to date has been related to the continuation of the programs that are governed by those changes. For example, ACA included changes in the Medicare Part D Program, so part of our job is to help the government implement those changes. Like changes that were related to the formularies and what drugs would be approved. So helping the government from our standpoint means that we have pharmacists and physicians who help evaluate the impact of those changes and help insure that those changes are being implemented in a timely manner. Ms. Stessman: There are a tremendous amount of government contractors. We all do a variety of different things. A lot of them are the IT folks that build huge systems for CMS or websites. There are a lot of companies that just do pure data analysis. You can imagine all the data that sits inside Medicare and Medicaid because all of that is in some way a health claim. There is a tremendous amount of analytical work that occurs. We do a hodgepodge of things. We do education and training, strategy development, work related to medical review and overpayment detection, a little work related to fraud and abuse, identification and detection. There is a variety of different types of contractors. What is not known by many is that when it comes to CMS, they have a couple thousand employees but when you look at that program, it is billions of dollars. They count on external contractors to help them implement that program. The government does not employ direct individuals to implement those programs. They utilize external contractors. CEOCFO: You mentioned earlier about identifying the need and developing solutions. Are you presenting the agency with ideas they can use? Are they putting out bids or contracts? How does that whole process work? Ms. Stessman: Most of the time, the government has what they call a request for proposal, an RFP, that is made out to the industry. You compete as well as other contractors compete to receive that work through a competitive good process. There are times though that we will present in a white paper, a concept or idea, or sometimes the government will issue what is called aRequest for Information (RFI). What they are looking for are your skills and abilities and ideas associated with how they might implement a program. We will proactively draft a white paper and go in and present our ideas and opinions. And then we will respond to any issues or requests for proposals that have something to do with our core capabilities and skill sets that are appropriate for the organization. CEOCFO: Do they tend to pay attention? Ms. Stessman: I think they have a job that is not very easy because they do have to implement what congress tells them to do, which is not always easy when you were not involved in the design. If you have to design it from the beginning, you certainly would have different ideas than perhaps someone else who is designing it. In their world, congress designs it and they get to figure out how to get it implemented and contractors are the ones who implement it. I do think they listen. They listen within the confines of what they have to do. They have barriers and restrictions related to what congress mandates. CEOCFO: What do you understand about the process of working with the government that perhaps others do not? Ms. Stessman: I think that question you asked me before is something that a lot of people do not understand; those constraints and barriers that they must work within. When you are a government contractor it can be really frustrating if you forget that concept. Government employees do have pressures and constraints that may not be visible to you. There is a lot of political pressure that is put over these government employees and guides them as to how they must implement the program. As a contractor, looking at it from the outside, you do not necessarily see all those pieces. From my perspective, that is something that I try to keep in mind and I try to make sure our employees understand. Ultimately it is our job to fulfill what the need is of our customers. That need may not seem reasonable or necessarily the most direct approach, but they have their reasons for wanting it to move in that direction. CEOCFO: How has your nursing background helped? Ms. Stessman: Healthcare is very much about the patient. We call the individuals that are covered by Medicare and Medicaid beneficiaries but ultimately they are a patient receiving some form of health care. As a nurse I was taught the importance of understanding the needs of my patients, protecting my patients and fighting for my patient’s rights. I think I sometimes approach the business in a manner that might be different from a typical businessman or businesswoman because I do believe in protecting the rights and respecting patients. Ultimately, whether I am looking at Medicare or Medicaid I am really talking about a human being who is a patient needing healthcare somewhere. CEOCFO: Are there particular types of projects that you personally like to handle? Ms. Stessman: There are some programs that we love to do. Any of those projects that have something to do with fraud and abuse, we are very excited by. For example, when we get the opportunity to, I call it wearing the white hat, if we get to identify when overpayments have been made and help the government recoup dollars that were perhaps inappropriately spent in the sense that a hospital or physician was paid money that they should not have been paid. Maybe because they made an honest mistake and they billed something wrong, or maybe because they were a little less than up front and honest. We get to return money to the trust fund. That to me is exciting because that is the opportunity where I can look somebody in the eye and say “yes, our country has some issues” but what we do every day helps to preserve it. There is this concern about whether or not Medicare and Medicaid are going to be there for the next generation but it will be as long as we have folks that are constantly protecting that trust fund and constantly look for ways to make sure you are only paid what you are supposed to be paid. Through efforts like ours Trust Fund dollars will be is reserved for those that truly need it. That is exciting to me. I get to wear the white hat and I get to feel really proud about what we are doing. It is not like doing something to do it, it is returning in a very positive way. Ms. Stessman: We have been very busy as you can imagine with things related to changes in healthcare; more beneficiaries marching towards retirement. The need for education and training and unfortunately the need for more protection related to fraud and abuse. We are busy. We have grown exponentially. CEOCFO: What are the intangibles you look for in people that you bring on to the team? Clearly, it is a lot more than technical expertise in a particular field that is needed. Ms. Stessman: We really are striving to bring those kinds of folks into our organization that are, what I call, A+ players. We evaluate people on those performance standards you described, I am looking an assessing people for their competency as it relates to their performance but I am also looking for people that reflect those core personality traits that we would like to see in our employees. Those things like ability to work in a team, honesty, commitment, accountability and responsibility. We are looking for individuals that will go the extra mile. I talk a lot to our folks about being a team player, somebody that comes in and does their work and leaves, and then somebody who goes above and beyond and works hard and is anticipating what that customer’s need might be; doing what it takes to make sure that we are always on time and delivering the best possible product we can deliver. The difference between those people are a hundred million miles. I am constantly looking to recruit individuals who are truly A+ players. They have to understand what we are doing but they’re also good, honest human beings that understand the importance of a hard days work. That is what I am looking for. CEOCFO: Put it all together for our readers, why does StrategicHealthSolutions stand out as an exceptional company? Ms. Stessman. I have to go back to the people. We are too big for it to be me or even the leadership team. Although I think we do the best we can, it really falls upon the people that work here. We have gotten to that point where there will be 250 employees here shortly, which is not a large company but for a company that started not too long ago, it is some good growth. It is absolutely dependent on the ability of us to recruit those great people that I just described and then find ways to motivate them and keep them excited about the work that we do. What brings it all together is, this may sound cliché, the quality of the people that we have and their willingness and commitment to deliver.